Tomei's 1.5 Way differential provides more lock during acceleration and less during deceleration. During braking, this allows for a more natural feel to the handling. Using a total of 24 friction discs (double the standard amount) offers a more uniform torque transmission for improved control. Spring discs are used to engage the clutches in the T-TRAX Advance LSDs. The structure that produces this high initial torque was kept compact. The longevity of the unit was proved by the variable spring rate tested during extreme driving conditions over an extended period. Previously all car models required the exchange of both the side flanges when upgrading the LSD unit. But with T-TRAX Advance it is now possible to use the original factory side flange. Of course there is no decrease in quality, efficiency or performance but it helps with bringing down the costs of upgrading your differential (with the exception of some models the side flanges still have to be exchanged on certain models). The T-TRAX Advance kit comes with everything required for each application. 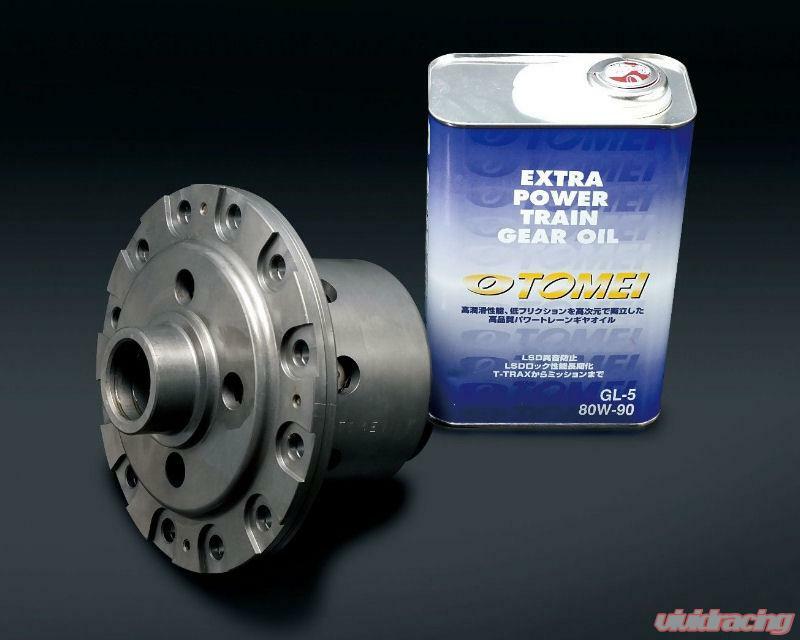 T-TRAX special differential oil, carrier cover gaskets, bearings and oil seals are included which are required when upgrading the differential.